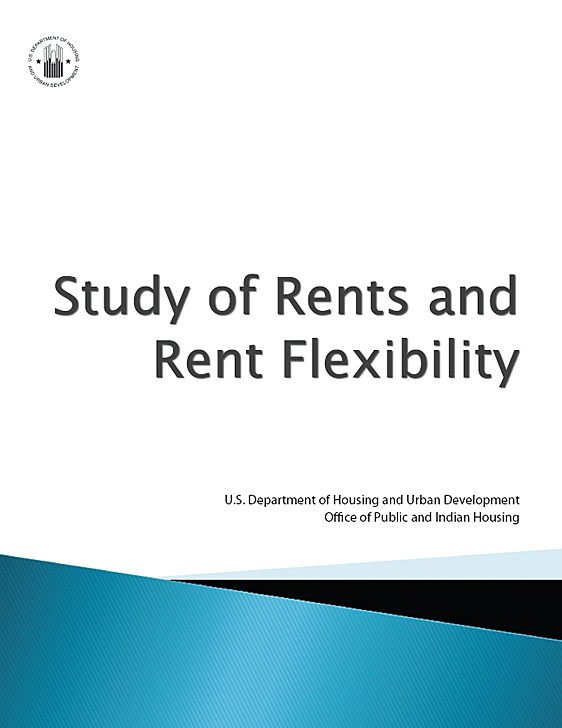 The Study of Rents and Rent Flexibility addresses a wide spectrum of questions that focus on the impacts of revised methods of calculating the tenant-paid portion of rent in the public housing and Housing Choice Voucher (HCV) programs. The purpose of the study is to help policymakers in deliberations about how changes in the rent calculation can remedy weaknesses in the current programs. The current system for calculating tenant rent payments bases rent on either 30 percent of a household’s adjusted income or, for public housing residents, an optional flat-rent schedule tied to market rents that are established by each local Public Housing Agency (PHA). The advantage of an income-based system is that it limits the burden on tenants of paying excessive rents. The alleged weaknesses of such a system are that it creates a disincentive to work or increase earnings, to report all sources of income, or to include an additional working adult in the household—any of which could result in increased rent payments. The report assesses alternative rent structures and their impact on HUD’s target populations, especially households making 0-15% of Area Median Income, excluding elderly and disabled households. It also includes insights from interviews with housing agency staff, newly admitted residents, and low-income persons on the waiting list for assistance.